The offshore outsourcing planned at the University of California's San Francisco (UCSF) campus is following a standard playbook. The affected employees expect to train their replacements as a condition of severance. Their jobs will soon be in India and they'll be out of work. But the chancellor of the University of California, San Diego (UCSD), Pradeep K. Khosla, may still be getting compensated by HCL Infosystems. It is one of the units of India-based HCL, the IT services contractor hired by the university. Khosla is an independent and non-executive director on the HCL Infosystems board of directors. He joined this board in 2011, and was appointed chancellor -- a role similar to that of a CEO -- of the San Diego campus in 2012. Khosla has reported his HCL compensation to the university at $12,000 last year for 56 hours of total time served. He also earns $12,000 from Infosys Science Foundation as chair of the engineering and computer science jury, according to the compensation report. HCL was recently hired by UCSF under a contract valued at $50 million over five years to manage infrastructure and networking-related services. As part of this move to an IT services provider, the university informed 80 IT workers -- which includes 50 permanent employees, contract workers and vendor contractors -- that they will be laid off at the end of February. When asked by Computerworld, in an email, if the university's contract with HCL creates a conflict for Khosla, a UCSD spokeswoman, Judy Piercey, replied: "The contract was negotiated between UCSF and HCL; it did not involve Chancellor Pradeep Khosla in any way, nor was it discussed at any HCL meeting that Chancellor Khosla attended." But this contract may have implications for the San Diego campus. The University of California's San Diego and San Francisco campuses are separate in the sense that they have their own chief executives and IT leadership. But the IT services contract with HCL negotiated by UCSF can be used at any of the 10 campuses in the 190,000-employee University of California system, said UCSF CIO Joe Bengfort, in a recent interview. The affected IT employees in San Francisco, who have spoken to Computerworld on the condition of anonymity, believe that the shifting of their jobs to India may be the start of a system-wide effort to move these public, partially taxpayer-supported jobs, overseas. They have reason to believe this is true. The HCL contract was discussed in August by the university's system-wide Architecture Committee, according to notes from the meeting. Attending were representatives of nearly 20 UC institutions, including from the university's San Diego campus. The "HCL agreement is UC-wide," according to the committee's meeting notes, which also report: "Other CIOs looking at UCSF experience before other folks dip in. Wait for a year before jumping in with HCL." Another link that the UC San Diego campus has with the San Francisco campus is the expanded use of the Supercomputer Center as a back-up facility for data. Membership on a corporate board among top University of California officials is common, and it has posed issues for the university. It recently revised its conflict-of-interest rules, changing them in a way that gives the university broader latitude in determining the definition of a conflict. For instance, instead of something being seen as an "apparent" conflict, a conflict can now be "perceived" as one under the revised rules. But the San Francisco Chronicle reported that the revised rules aren't retroactive. Affected university IT employees have launched a petition drive to try to get the university to stop its outsourcing. Another issue for the university may be having an association generally with the offshore outsourcing industry. This industry, broadly, relies heavily on H-1B visa holding workers to move work offshore, displacing U.S. IT workers, including computer science grads of institutions such as the University of California. 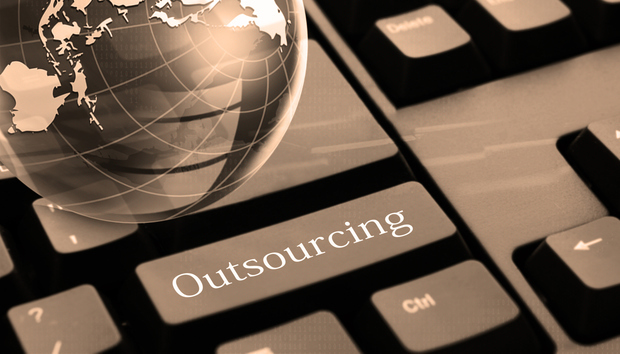 Major IT services outsourcing firms are fighting lawsuits brought by affected employees. That includes HCL, which is now defending itself against a lawsuit filed by a former Disney employee who was laid off after training an H-1B-holding employee.